A stop-motion adventure that's part Indiana Jones and part John Candy, Laika's "Missing Link" makes other animation look utterly unevolved. Part “Raiders of the Lost Ark,” part “Mighty Joe Young,” and part “Planes, Trains & Automobiles” — to cite three of writer-director Chris Butler’s most explicit references — “Missing Link” is a sweet, touching, and seriously fun adventure comedy about two lost souls who are struggling to reconcile yesterday with tomorrow in their bid to belong in a world that refuses to make room for them. Set in the Victorian era but progressive in almost every major aspect of its narrative and design, Laika’s fifth feature may lack the weight and urgency of the studio’s previous work, but it reaffirms the studio’s commitment to a future that comes in all shapes and sizes. Thank God for Laika. At a time when convenience has become the determining factor of most artistic consumption, intellectual property is prized over actual creativity, and the great animation houses are either stuck in some kind of limbo (Studio Ghibli) or lost in the profit margins of their own mythology (Pixar), the Oregon-based stop-motion studio behind the likes of “Coraline,” “Paranorman,” and “Kubo and the Two Strings” is still chugging along, one painstaking shot at a time. The degree of care that goes into every detail of these movies almost requires a certain level of quality, as each handcrafted flourish is born out of a thousand hours of meticulous work. If there’s something decidedly old-fashioned about preserving such a tactile process in a digital era, Laika has always maintained a fascinating relationship with modernity. From the aggressive use of 3D (and They Might Be Giants ) in “Coraline,” to the cutting-edge 3D printing techniques the company first pioneered with “Paranorman,” Laika has become a bridge that stretches between the past and the future; there are any number of reasons why the studio’s latest film couldn’t have been made by anyone else, but chief among them is the extent to which it’s defined by that underlying tension between where we’ve come from and where we’re going. “Missing Link” starts with a proud fool by the name of Sir Lionel Frost, the kind of well heeled adventurer who hunts for the Loch Ness Monster in a houndstooth suit. Voiced by Hugh Jackman (whose zestful entitlement and natural sense of wonder help the character to sound like a perfect mix of the two roles he played in “The Prestige”), Lionel likes to think of himself as England’s foremost expert of ancient myths and legends, but the snooty elitists of London’s Optimates Club refuse to allow him into their cabal of old white gatekeepers. Lucky for Lionel, he’s just received an anonymous letter about Sasquatch sightings in America; if Lionel can find the Missing Link, surely Lord Piggot-Dunceby (Stephen Fry) will certify his greatness as an explorer and grant him the acceptance he’s always wanted. But Lionel barely steps foot into the lush, verdant forests of the Pacific Northwest before the greatest find of his career steps out of the forest and introduces himself: Not only is the Missing Link real, but he’s got opposable thumbs, and used them to write Lionel the letter that summoned him halfway across the world. Mr. Link, as Lionel refers to his momentous discovery, wanted to be found. He was lonely — maybe the last of his kind — and eager to meet someone who might be able to lead him to his distant Himalayan relatives in the snowy mountains of Shangri-La. And so begins the globetrotting adventure of a lifetime. The two characters are natural foils, and Butler (who also wrote and directed “Paranorman”) gets a ton of amusing comic mileage out of clashing Lionel’s urgency against Mr. Link’s nonplussed calm. Mr. Link feels like a guest in this world, even if he was here first, and he always wants to be on his best behavior. Alas, his hyper-literal understanding of the English language has a way of souring his good intentions; when Lionel tells Mr. Link to “crack a window” aboard a train, the 650-pound humanoid obediently punches a hole through the glass. Lionel’s misery becomes our mirth, even as the two begin to adjust to each other and become a team. Both of them are searching for an arbitrary sense of belonging, and both of them are oblivious to the acceptance they’ve found in each other. Interspecies bromances can be tricky like that. It’s a familiar dynamic with obvious ties to Sherlock Holmes and John Watson, but Zach Galifianakis’ voice performance as Mr. Link is so guileless and open-hearted that it truly feels like his character — who’s spent all of his years watching humanity from an isolated remove — is experiencing everything for the first time. From a Western-tinged bar fight to a voyage on the high seas, a sense of discovery is baked into every moment. While the story manages to sweep up a small handful of other characters along the way (most notably a vaguely ethnic revolutionary voiced by Zoe Saldana and a pint-sized bounty hunter who Timothy Olyphant douses with more than a touch of “Deadwood”), none of them find their way into the heart of a movie that’s ultimately focused on its central friendship. It’s disappointing that “Missing Link” doesn’t make its duo feel more like a fellowship, or devote a fuller dimensionality to every member of its silicone cast (you sometimes get the sense that Saldana’s character might have been able to carry a more exciting film), but it goes a long way that Mr. Link himself is such a delight. The puppet alone is an incredible creation, as slats of brown fur bristle around an acorn-shaped metal frame and a monkey-like head. He’s cute, but not too cute; woodsy, but not wild. And there’s enough drama involved in the way Mr. Link wears his proper English wardrobe to offset a narrative that doesn’t find any real tension until the third act. While Lionel’s wants aren’t as clear as they could be, everything about his traveling companion is well-articulated, including the idea that Mr. Link — the greatest anthropological find of all time — is effectively discovering himself. “We don’t shape the world,” someone laments. “The world shapes us.” But Mr. Link, in typical Laika fashion, pushes back against that premise by confidently forging his own identity. Sometimes, that process can be painful: The film’s action-packed climax, staged with Spielbergian clarity and a marvelous sense of place, is full of disappointments for its title character. Other times, that process can be a total joy, as Mr. Link accepts himself in ways that Lionel only wishes he could. Or accepts herself (or themselves), as Mr. Link eventually shrugs off the name Lionel gave them in favor of being called “Susan.” While the movie wears its forward-thinking identity politics as lightly as it does Carter Burwell’s exuberant score, “Missing Link” finds a number of ways to deepen and texturize its message of mutual self-acceptance; everyone wants to belong, but no group is worth joining that requires you to betray who you are. Friendship is the only thing that allows us to cross that gap — friendship (wait for it) is the real missing link. Like the computer-generated animation preferred by Laika’s contemporaries, the Optimates Club might seem to have a stranglehold on the future, but “Missing Link” crafts a different outlook for those who choose to see it. By the very nature of their immaculately designed worlds, Laika’s films contend that creating your own identity isn’t easy, but it’s better than being defined by someone else. It’s not the most original message, but “Missing Link” makes a singular argument that any other way of thinking is positively unevolved. 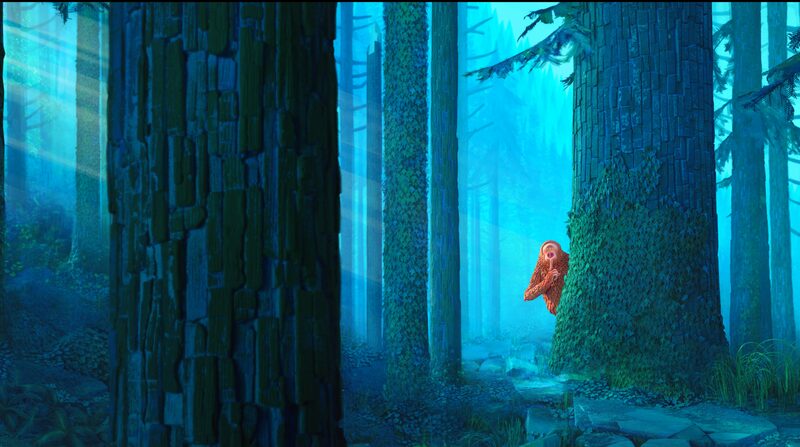 United Artists will release “Missing Link” in theaters on April 12.